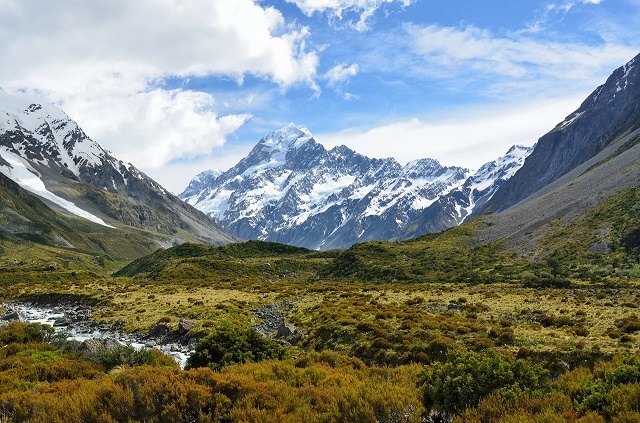 New Zealand has everything to attract expatriates: immigration conditions favoring skilled exchange of workers, stunning landscapes, a low crime rate and a good state provided healthcare system. Moving to New Zealand can even be easier with the help of good moving companies to assist every step of the way. New Zealand is a 268,670-square kilometer congregation of Oceanic islands that lie to the southeast of Australia. Its main landmasses include the Te Ika a Maui or North Island and Pounamu or South Island. New Zealand also comprises several outlying islands, including Chatham Islands, Kermadec Islands, and Auckland Islands. The country's capital is Wellington, which is located at the southern tip of the North Island. Its climate is mainly temperate, with average temperatures ranging from 8 - 16° C in the north where subtropical conditions also exist. As the country lies in the Southern Hemisphere, the warmest months of the year are January and February, with July, seeing the coldest temperatures. Its landscape is truly breathtaking, from the volcanic north to the mountain-laden south where the country's highest point, the Southern Alps, towers at 3754 meters, along with 18 other peaks and even more peaks divided by steep fjords. Tourists stop in awe at the country's larger-than-life attractions from the Waitakere Ranges of Auckland to the Abel Tasman National Park and other dramatic views. Meanwhile, expats are often busy finding their place in the country's 4.4 million strong population composed mainly of European migrants, the indigenous Maori as the largest minority and Asians and non-Maori Polynesians. In general, New Zealanders are famous for being energetic and positive and often conduct themselves casually unless the situation calls for more formal demeanor. Expats appreciate their remarkable hospitality and instinctive kindness at the most unexpected of times, even to strangers who might need their help. Everywhere in the archipelago, English remains the main language for business and personal communication. One thing unique about New Zealand English speakers is their penchant for shortening words to end them in vowel sounds or simply omitting certain syllables. For example, "football" becomes "footy" or "watch out under" becomes "chunder." If you've just arrived in New Zealand, follow suit with some expats who have taken it upon themselves to learn the New Zealand slang through special dictionaries. Different countries attract expats for different reasons. In New Zealand, it can be as simple as a life well balanced in terms of economic, social and personal prosperity. There are many countries with stronger economies, but expats know what they want and are happy to find it in this humble yet prided nation in the Pacific. New Zealand is a small country located on the south-western side of the Pacific Ocean which is divided by the Cook Strait into two islands: the south island and the north island. It has been a haven for expats because of many employment opportunities. You can land a job in corporate offices in the cities or vast farms all around the country. Idiomatically and literally speaking, New Zealand is the ‘greener pasture’ you’ve always been searching for. So if you’re all set in reaching your goals along with thousand other expats in this beautiful land of the Kiwis, here are a few guidelines to help you out. There are two most useful ways of looking for housing in New Zealand: through newspaper and local real estate agents. If you view an ad in the paper, make sure to visit it first before reserving so you can see the actual status of the apartment. Local landlords are very creative when describing their properties so it's better to checks it first. Most realtors charge the equivalent of a week’s rent for their service, but they tend to be helpful because they know the neighbourhoods very well and have a wider range of options for you. Unless your landlord tells you explicitly, always include in your budget an extra amount for your utilities. In the main cities of New Zealand, the average monthly cost of your necessities (water, electricity and gas) is €150. Once you're settled, you can star applying for other services like the internet which is around €50 per month. Mobile prepaid phone calls are charged €0.40 per minute. The typical house in New Zealand has gardens out front, but there are also many apartments across the country. You should expect that the rental cost goes higher as you move closer to the major cities like Auckland, the North Island’s home for most business offices and several schools. Despite the busy work vibe of the city, you will not run out of outdoor activities that will keep you relaxed on weekends. A one bedroom apartment in Wellington is around €1000 while a three bedroom unit is roughly €2000 per month. If you are planning to live in the South Island, you can consider the city of Nelson. It is an ideal place to live with your family since it has a more laid back environment and is located near three beautiful National Parks. The average cost of a one-bedroom apartment in Nelson for €750 per month. You can also find a three bedroom unit for around €1000 monthly. Most expat children in the country are enrolled in international schools like the Auckland International College where the International Baccalaureate Program is being used. Higher education in Nez Zealand is funded by the student fees and the government. There are many local universities and state schools in the country. One of them is the University of Auckland which is the leading and largest local school in the country. It is best to hire an international or local shipping and removal company to assist you in bringing your belongings to New Zealand. These movers take care of the whole process from picking up your belongings to delivering them to your new home. The average transit time to New Zealand by sea is 31-36 days. Auckland Port is the largest and leading port in the country and where the majority of containers arrive. There is a 180 day quarantine period for a dog or cat entering New Zealand as an implementation of the Rabies Prevention Law. The animal can be quarantined in your originating country for the first 170 days. However, New Zealand requires a minimum of ten days of quarantine for all animals entering their territory. Also, make sure that your pet has a Rabies Vaccination Certificate and the standard International Health Certificate signed by a licensed veterinarian from your country of origin. For more information about New Zealand’s pet import regulation, click here. New Zealand or what its native Maoris call as Aotearoa (land of the long white cloud) has been a home for countless immigrants for a long time. Even if you’re staying for good or just a few years, this country will offer you possibilities beyond your expectations. With its breathtaking scenic views and friendly locals, New Zealand is surely the place to be. The shores of New Zealand have always served as a beacon of hope to thousands of foreign nationals who wish to have a fruitful career and prosperous future. 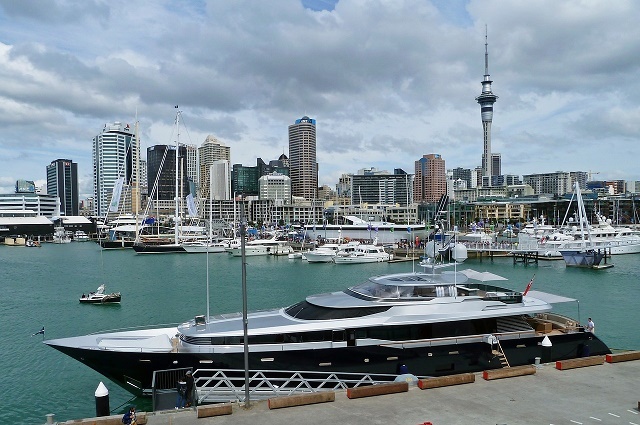 Aside from possessing a robust economy and vast natural beauty, the famous home of the Kiwis also guarantees an excellent quality of life amongst a family-friendly society. New Zealand is a paradise on earth that continues to lure expats from all parts of the world. It offers boundless opportunities not just to those who seek employment, but also to people who yearn to frolic with Mother Nature while marvelling at rolling pastures, raging rivers, jagged mountain ranges and picture-worthy beaches. Aside from the abundance of scenic views, the three major cities of New Zealand namely Auckland, Wellington and Christchurch are also consistent in providing an unparalleled quality of life. In 2016, Auckland, the most populous urban metropolitan in the country, ranked as third best city in the world for quality of life. The Land of the Long White Cloud is indeed a prime destination where all 4.5 million of its inhabitants enjoy a high level of safety, excellent health care system and world-class education. New Zealand is considered as a haven for outdoor lovers and most of the locals’ ideas about fun are associated with nature. This country offers a plethora of thrilling activities that are not meant for the faint-hearted. You can try bungee jumping either in Nevis or Kawarau Bungee Site that is both located in Queensland. There is also jet boating which is best done at the Huka Falls located near the scenic Lake Taupo. 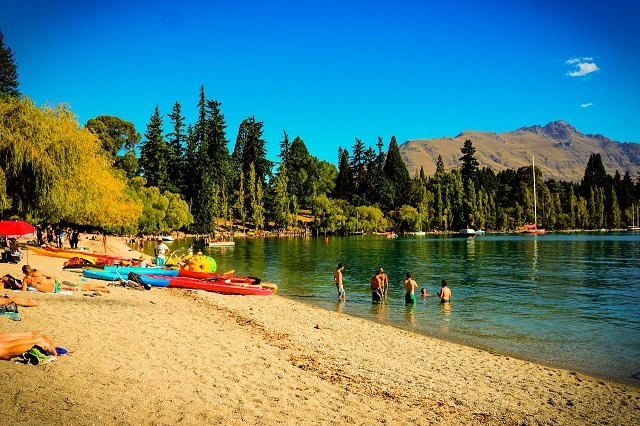 Other popular outdoor activities in this country are cycling, mountain biking, white and black water rafting, caving, kayaking, sailing and diving. Expat parents who will bring their kids will not run out of destinations to visit during their free time. The Animal Farm Rare Breeds Farm Park is a 17-hectare farm that houses lots of friendly animals that children can touch and feed. There is also the Auckland Whale and Dolphin Safari which is a perfect place for those who love marine life. Here, visitors will be taken on a 4.5-hour nature tour to watch whales, sea bird and dolphins while listening to the lectures or commentaries of Marine research scientists. Though New Zealand has a highly efficient network of public transport, expats will still need a vehicle sooner or later for a more comfortable everyday travel experience. Foreign nationals are allowed to use their home country’s driving license only for one year. Those who carry licenses that are not in English must have an official translation or an International Driver’s Permit. After 12 months, you need to obtain a New Zealand driver’s from the New Zealand Transport Agency. Driving in New Zealand is not much of a hassle since all roads are in good condition. Traffic in this country is considered light compared to international standards but you should expect congestion in major cities particularly during rush hour. Cars drive on the left hand side of the road. Buckling up is mandatory in both the front and the back seats. An appropriate child seat is also required for children below five years old. New Zealand is highly diverse country where people from all countries and religion are accepted with open arms. The modern society of Aotearoa has seen significant changes brought by the growing international community but the strong influences of the European and the Maoris are still heavily felt to this day. The Maoris or the indigenous Polynesian people of New Zealand live across the North and South Islands. They have different ways of life and are known for having a strong sense of right and wrong. Expats in New Zealand should be respectful towards the Maoris because they are an important part of this country’s history. New Zealanders or also known as Kiwis are friendly and helpful. They have a tendency to relax and avoid pressure even at work which is why many expats admire their laidback way of life. The culture of New Zealand is not hard to understand since the locals are always pleasant and have the willingness to help newcomers. Communities are family friendly and egalitarian. Racism and discrimination is not tolerated in New Zealand. The Kiwis despise people who look down on others based on the person’s gender, nationality or social status.